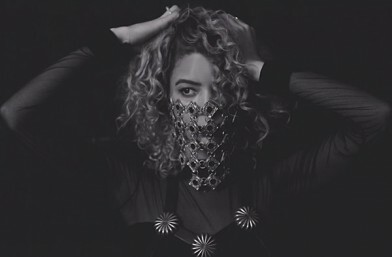 Esty Leone better known as “Esty” is an exciting emerging artist coming straight out of Providence, Rhode Island, who has been compared to the amazing Sade with her soft angelic tone, addictive melodies and timeless vocal. For such a young unsigned singer-songwriter, Esty has some amazing accolades, after having YMCMB’s very own Tyga jump on her début single ‘Killing Your Ills’, receiving over 1.5 million views, she then returned the favour by featuring on Tyga’s single ‘The Letter’, most recently Esty has also landed two songs “Remember Me” and “Lights Out” on the new Chris Brown Album “Fan Of A Fan” which she co-wrote and features as a vocalist, she is proving to be a huge talent and looks to stamp her mark on 2015! Can you define your musical style? Among other listeners/artists and I define my musical style as it an emerging, rhythmic, stylistic alternative to R&B. It’s been a busy year for you working on your new EP ‘Darkroom’ You must be pretty excited? It’s been a really good year working on the DarkRoom EP. Haha if words could only describe it. But yes, I am excited/exuberant/nervous. I really enjoy being able to express what I go through with other people who get it and have experienced the same or similar situations. It’s liberating. What was the first spark that got you going musically? What gave me the first spark to sing was -this is a shocker – Britney Spears when she dropped ‘Hit Me Baby One More Time’ I was about eight. I would put together little performances for my sisters and cousins in my room. Played that CD until it could no longer spin. It was unchartered territory for me and it felt like a win. I wasn’t a very confident kid I was always really timid and shy to sing in front of them…but fear gave me all the strength I needed and up until this day it continues to. Which music artists/acts are you inspired by? Music acts I’m inspired by fluctuate with time. I’ll be completely obsessed with a couple artists in a six month span and play them out until I need a break. How do you start writing a song? Does a tune, a harmony, a mood or lyrics come first? I start writing a song with a melody first and then a phrase or word that sums what I’m feeling. Or other times I’ll hum some notes that I’ll later turn into a track in Ableton. Which music artist’s/act’s career path would you ideally want as a model for your own? An artist career path that I would ideally want as my own would be Sade. She has always remained to stay true to herself and her art. She pops up when she’s ready, cause you can’t rush these things. If you could collaborate with any contemporary music artist/act/producer, who would you pick? If I could collaborate with any contemporary artist/producer it would have to be Flying Lotus. His music takes you to another universe it’s electric. He’s just done a collaboration with Kendrick Lamar in his most recent album and it has been one of the best albums I’ve ever heard. I also got the opportunity to see him live for the first time at Coachella this year and to put it lightly, it was an unbeatable experience. What are your thoughts about the importance of social media for today’s music biz (YouTube, SoundCloud, Facebook, Twitter, Instagram)? I wish it was like the old days where everything was a mystery. Artist/actors had their privacy and everything was a lot simpler. I do understand why social media has its importance now but there are ways to only show people what you want them to see and still have a piece of your life left special, just for you. What does performing live mean to you? Do you prefer live audiences or studio work? Performing live means everything. It’s one of the main reasons aside from writing and recording that I wanted to continue this path. It’s where I can connect with people musically and visually…a place where we can all go on a journey in my world together. We also through a few quickfire trivia questions just for a bit of fun with some interesting results. It’s complicated lol but at the moment it’s champagne pink. Monkeys, it’s in the stars I need one of these lil guys. Bibigo! It’s like the Korean version of chipotle. First album you ever bought? (Was it a record/cassette tape/CD/digital download?) How old were you? Do you still listen to it? I ever bought was Corinne Bailey Rae’s ‘The Sea’ it was a cd and I was 19. What song do you have on constant repeat at the moment? What’s the last book you finished? What are you reading at the moment? What’s the last gig/concert/or festival you went to, which you didn’t perform at? Your favourite item of clothing right now? Which celebrity, if you met them in person, would you turn into a total, embarrassing fangirl about? What was the first poster you put on your wall as a young teen? What’s your essential, can’t-live-without gadget? Electronics do not own me…I could do without. Nope, I wish I could. What qualities do you value most in a man or a woman? Are they different? I most value in men/women: honesty, loyalty passion and humour. The one I am on now at this very moment. And finally. . . what is your life motto or favourite saying? A drop of rain, won’t make the sun go away. 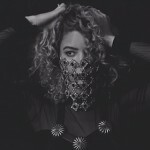 Esty will release her début EP “Darkroom” on May 11th , 2015 and is currently streaming on SoundCloud. The EP will be followed by a deluxe version and remix package.